Robert Atwan's favorite literary genre is the essay. As editor and founder of The Best American Essays series, Atwan has read thousands of examples of the remarkably flexible form. "Essays can be lots of things, maybe too many things," writes Atwan in his foreward to the 2012 installment in the Best American series, "but at the core of the genre is an unmistakable receptivity to the ever-shifting processes of our minds and moods. If there is any essential characteristic we can attribute to the essay, it may be this: that the truest examples of the form enact that ever-shifting process, and in that enactment we can find the basis for the essay's qualification to be regarded seriously as imaginative literature and the essayist's claim to be taken seriously as a creative writer." In 2001 Atwan and Joyce Carol Oates took on the daunting task of tracing that ever-shifting process through the previous 100 years for The Best American Essays of the Century. Recently Atwan returned with a more focused selection for Publishers Weekly: "The Top 10 Essays Since 1950." To pare it all down to such a small number, Atwan decided to reserve the "New Journalism" category, with its many memorable works by Tom Wolfe, Gay Talese, Michael Herr and others, for some future list. He also made a point of selecting the best essays, as opposed to examples from the best essayists. "A list of the top ten essayists since 1950 would feature some different writers." "To my mind," writes Atwan in his article, "the best essays are deeply personal (that doesn't necessarily mean autobiographical) and deeply engaged with issues and ideas. And the best essays show that the name of the genre is also a verb, so they demonstrate a mind in process--reflecting, trying-out, essaying." To read more of Atwan's commentary, see his article in Publishers Weekly. 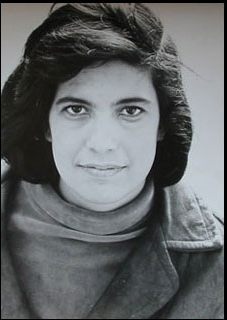 The photo above of Susan Sontag was taken by Peter Hujar in 1966. Wow I think there’s other greater ones out there. Just need to find them.